So, um, I’m an Aunt. – Geek Girls Rule!!! 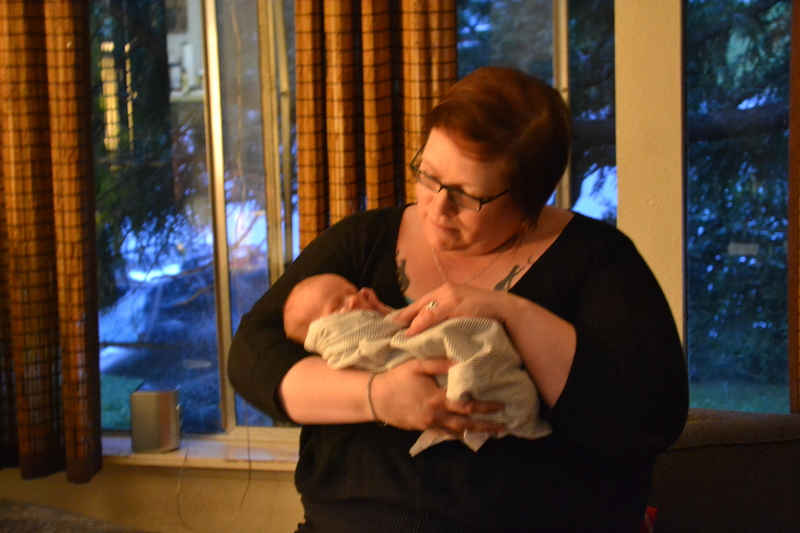 So, um, I’m an Aunt. The Geek Nephew What Rules, from here on out to be referred to as “Pavel” (not his real name, but it’s the one I’m sticking him with) was born September 14th, while I was out of state, had forgotten my phone and had no internet. His mother, my younger sister, is doing fine and apparently Pavel is living up to the family tradition of being a night owl. So far he hates stethoscopes, thermometers and baths. I’m calling him Pavel after Pavel Datsyuk from the Detroit Red Wings. It’s a Michigander thing. Don’t worry, I’ve already bought him his first Starfleet uniform; science officer blue because Spock > Kirk. There he is, my little Pavel. A week and a half old. Pretty cute for a larval form. Next Post Geek Girls Rule! #266 – Yup, Sexism.